The Gorman-Rupp Ultra V Series is the very latest in self priming pump technology. The Ultra V combines solids handling (including stringy materials) with high head performance and high efficiency. 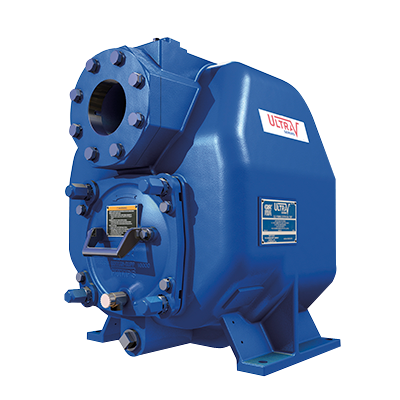 This range of pumps is available as a single stage (V Series) or as a unique 2 stage version (VS Series) for very high head applications.